Random Jackpot Win at iNetBet Casino on a .40 bet! Discussion in 'Winner Stories - Online Gambling Winners!' started by Kotsy, Oct 19, 2013. 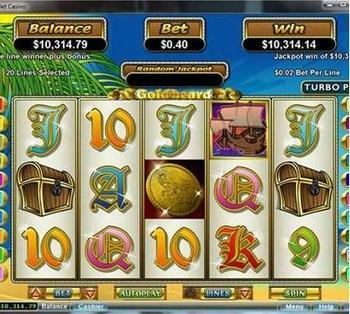 She hit a Random Jackpot win at iNetBet Casino on a .40 cent bet playing Gold Beard Video Slot. Teresa was down to her last .65 and saw all the bells and whistles go off. What a great way to play out your last few cents. Those Random Jackpots can go off at anytime and with any amount of bet. Congratulations Teresa with your winnings.